2019 Teens’ Top Ten Nominees Announced! Get ready to celebrate! The 2019 Teens’ Top Ten Nominees have been announced! And don’t forget to encourage your teens to read the nominees all throughout the summer so they can vote for their favorites starting August 15th! 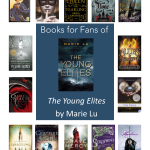 In celebration of this announcement, YALSA is giving away 50 sets of the nominees through it’s 2019 Teens’ Top Ten Giveaway. The application deadline is fast approaching! Applications are due April 15th. Eligibility requirements apply, find more info and apply here. A digital image of a Teens’ Top Ten seal for nominated titles is available to publishers for licensing. Arrangements can be made through ALA’s Rights and Permissions office for publishers who need permission to reproduce the seal on a paperback edition of book jacket. Contact permissions@ala.org or Mary Jo Bolduc, (312) 280-5416 (phone) or (312) 944-8741 (fax) for information. 2019 Teens’ Top Ten Giveaway Now Open! 2018 Teens’ Top Ten Nominees Announced! Apply now for the 2018 Teens’ Top Ten Book Giveaway! 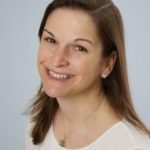 So you want to read a Sarah Dessen book?